@Beggar Mugger, I'm imagining that laugh would aound something like, Hum-hmp. Man, fashion for guys was knee high socks back then? Must of drove the women wild. They don't look like sheep. 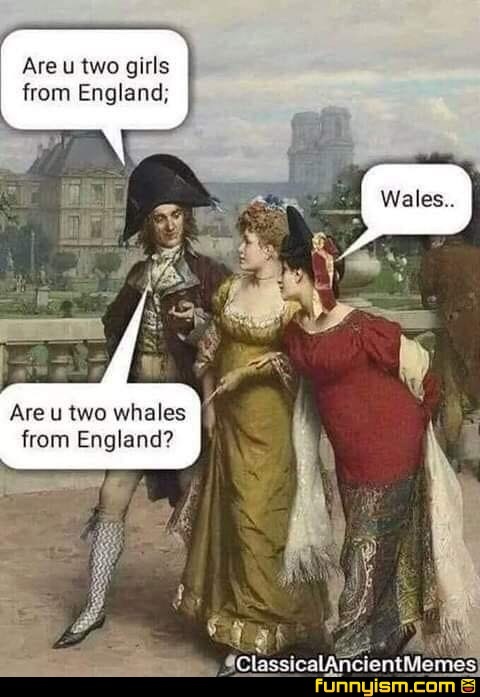 There’s something wrong with your bride sir She’s not Welsh is she? I mean... does it realllllllly take that much longer to type "ou"? Does it really?